The Ludhiana DIG has constituted a special investigation team (SIT) to trace a ‘dead’ woman, Inderdeep, alias Jasbir Kaur, of Samrala, who was termed murdered in a highly controversial FIR registered by the Khanna police in February this year. 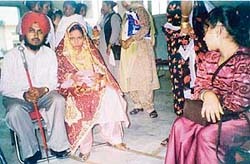 She was allegedly later spotted at a religious dera in Hardwar. Due to the alleged negligence of the medical staff at Mohan Dai Cancer Hospital, Rajinder Kumar’s one-year old daughter Tisha lost her right hand. 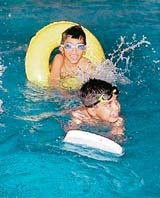 With rising temperature, children enjoy a splash in the pool in Ludhiana on Tuesday. The remnant stalks of harvested wheat, with some grains on them, thrown by labourers and weaker sections of society on roads for getting thrashed by vehicles, are proving to be a traffic hazard. The remnants of wheat which are thrown on the roads for getting thrashed. However, this causes the vehicles, particularly the two-wheelers to skid leading to accidents. — A Tribune photograph. While the Municipal Corporation is still grappling with the problem of the Dhandari Railway Overbridge arisen due to non issuing of NOC by the National Highway Authority of India, the residents of Dugri are demanding a flyover and broadening of existing bridge on the Sidhwan Canal. 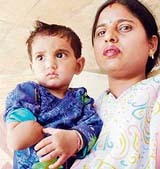 Polio rendered him physically challenged for life, when he was just six months old. Living with the pain of not being able to play like the other children of his age during his childhood, B.K. Jethi found a vent for his pent-up energy in helping several others like him. His tireless fight for the rights of physically challenged has earned him accolades and the title of a messiah of the differently abled. Tulsidas Jaitwani, president of the Punjab Beopar Mandal, died here last night. He was 87. Many people gathered at his funeral today. Jaitwani served the trading community of Punjab as the president for four decades and also launched a number of agitations to protect the interests of traders. The Dhanda Charitable Trust, Tapovan Ashram, is embroiled in an unsavoury controversy over the misuse and misappropriation of lakhs of funds. The Trust is divided into two groups, both claiming they were the legal authority to run the temple near old DMC and the ashram. Abhishek of class 10, Shivali of class 9 and Prabhjot Kaur of class 12 won first, second and third positions in the declamation contest organised by the eco-club of the Saraswati Model Senior Secondary School to mark the ‘Earth day’ today. 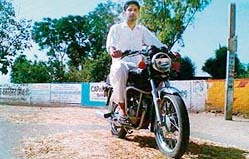 JE PWD Ludhiana was alleged with an attempt to murder. 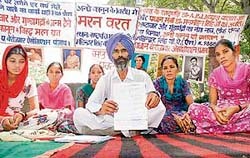 The local police has registered the case under the Section 307, IPC and Sections 25, 27, 54, 59 of Arms Act. According to the information, Manmohan Katyal an advocate and resident of Hira Bagh Jagraon had constructed hotel Sneh Mohan Regency which belonged to his wife Sneh Katyal. Katyal had applied for the no-objection certificate from the PWD and to proceed on the application Joginder Singh, the JE PWD, Ludhiana, was assigned the task. Genus Power Infrastructures, an electronic product manufacturer, is planning to lay focus on Punjab, a high potential market for the company. Addressing a press conference, company’s managing director J.K. Aggarwal said one-tenth of the demand for company’s inverters was generated from Punjab. “People here prefer living in comfort and opt for good quality products. We are expecting the demand to rise further in future. Heat wave has not prevented city residents from savouring eggs and chicken. The prices of poultry products that declined by almost 20 per cent last week, have picked up again and so has the demand. Encouraged by the response, those in trade are expecting demand and also prices to rise further. 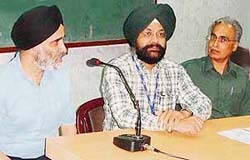 Three scientists at the Regional Centre Bathinda of Punjab Agricultural University, J.K. Brar, G.S.Romana and D.S. Brar, have brought out a booklet on processing fruits and vegetables at domestic level. These products could be canned and sold in nearby areas for enhancing the income by way of value addition. With the government schools running out of staff due to deputation of teachers for non-teaching duties, like survey for preparing BPL lists for providing cheaper atta-daal, is making students from state run schools opt for private institutes. In order to strengthen its research programmes, the Guru Angad Dev Veterinary and Animal Husbandry University has submitted research proposals to different funding organisations. A Mathematics Laboratory equipped with latest methods to make clear the concepts of Mathematics was inaugurated today at Guru Gobind Singh Public School (GGSPS), Daad, Pakhowal road by the chairman of the school and president of the Shiromani Gurudwara Parbhandak Committee (SGPC), Avtar Singh Makkar. Two workshops on career counselling and good parenting were organised by Ryan International School here yesterday for the students and parents. The workshops were conducted by Dr Tushar Guha, an educationist, psychologist and a corporate trainer. The Executive Committee of Punjab and Chandigarh College Teachers' Union (PCCTU) has hailed the appointment of Prof Rajinder Bhandari as the state president of BJP. Parneet Kaur of XII got the first prize at the Rangoli competition held at Guru Nanak Public School, Sarabha Nagar here today. The second and third prizes were bagged by Harsimrat Kaur and Ramneet Kaur of XII. 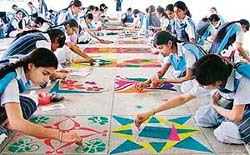 More than 80 students took part in the contest held for 11 and 12 classes. Manpreet Kaur Mangat student of Doraha Institute of Management and Technology (DIMT), Doraha, bagged first position by securing 76.3 per cent marks in BCA third semester and fifth semester examinations conducted by Punjab Technical University, Jalandhar in December 2006. Manpreet Kaur Garcha bagged second position with 75.8 per cent and Deepak Kataria stood third with 75.14 per cent marks. GNIMT students once again proved their mettle by obtaining top positions in the merit lists of various results declared by the PTU, Jalandhar, for exams held in December 2006. Dr Karanjit Singh Kooner, associate professor in glaucoma services, at Texas University, USA, delivered a guest lecture on glaucoma at Dayanand Medical College and Hospital here last evening. Dr K.S. Kooner from Texas University (USA) delivers a guest lecture on glaucoma at the DMCH. Dr Daljit Singh and Dr G.S. Bajwa are also seen in the picture. Rajinder Gulati, the head of Pediatrics Department at ESIC Model Hospital, delivered a health talk during a workshop ‘Impetus 2007’, organised by the Gujranwala Guru Nanak Khalsa College of Pharmacy, here, today.